Pictures and info about John’s Grammy weekend! 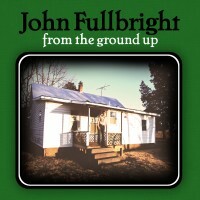 All of us at John Fullbright Music would like to congratulate John on receiving an Americana Grammy nomination for “From The Ground Up.” Thanks go out to Wes Sharon and 115 Recording, who co-produced and engineered this little project, and to Terry Ware, Giovanni Carnuccio and all the musicians who played so brilliantly. We are very pleased and proud to announce that John’s 2012 Album, “From the Ground Up,” has been nominated for a Grammy in the “Best Americana Album” category. Here’s the announcement of the ASCAP Foundation’s selection of John for the 2012 Harold Adamson Lyric Award. 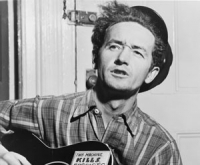 There are three videos at their site, including an interview with John, and John playing the award-winning song, “Moving.” Many thanks to the ASCAP Foundation for their support of singer-songwriters. This week the ASCAP Foundation has announced that John’s song “Moving” is the recipient of their annual Harold Adamson Lyric Award. John will be formally honored at a gala event in New York on December 12. Oklahoma Gazette: Best in Folk!